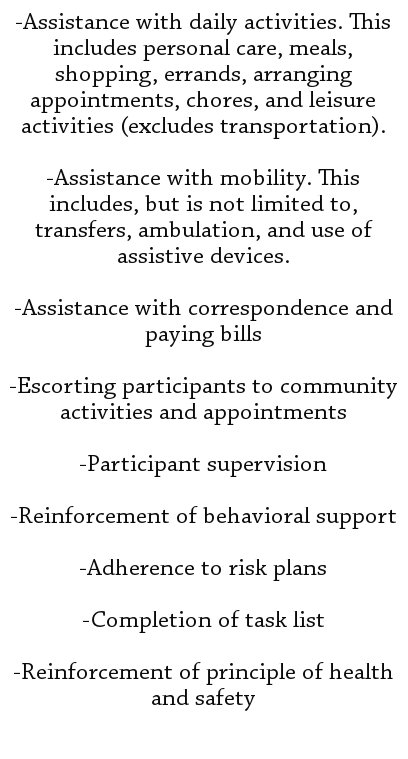 Participant assistance and care (PAC) services provide individuals with the necessary help to meet daily living needs. 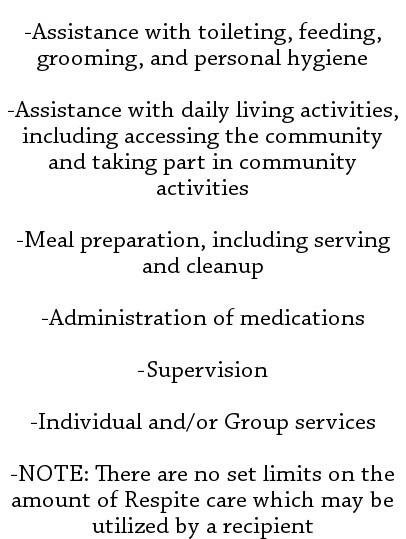 PAC services ensure adequate functioning in an independent living arrangement and participation in chosen communities. 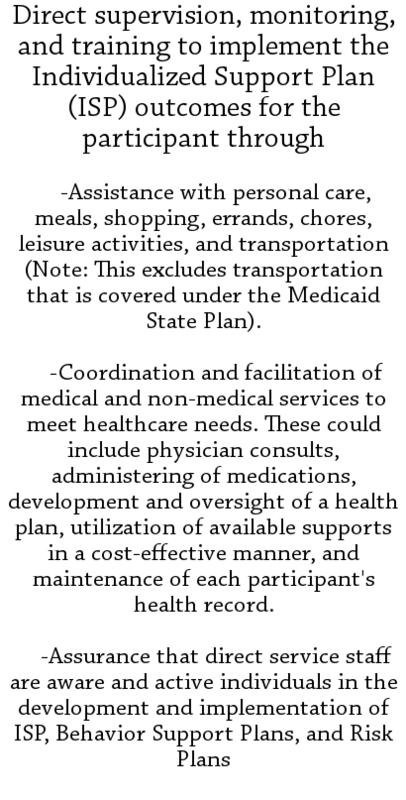 Participants receive hands-on assistance with daily living, self-care, and mobility. 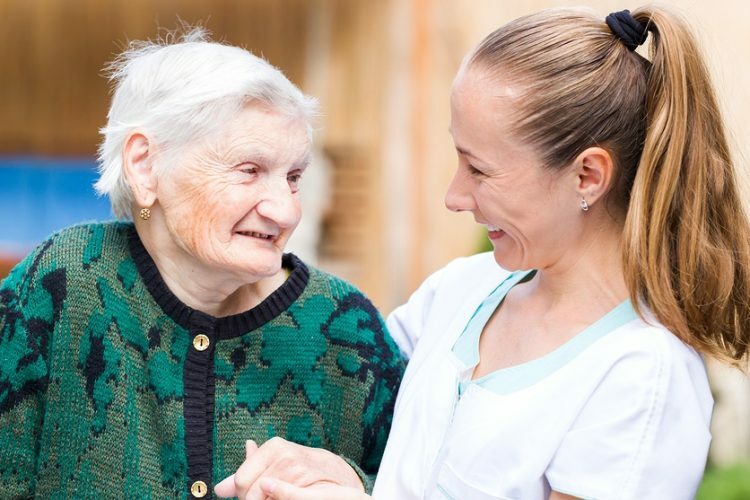 Respite care is a short-term service provided to individuals who are unable to care for themselves because of the absence or relief of persons who normally provide care. 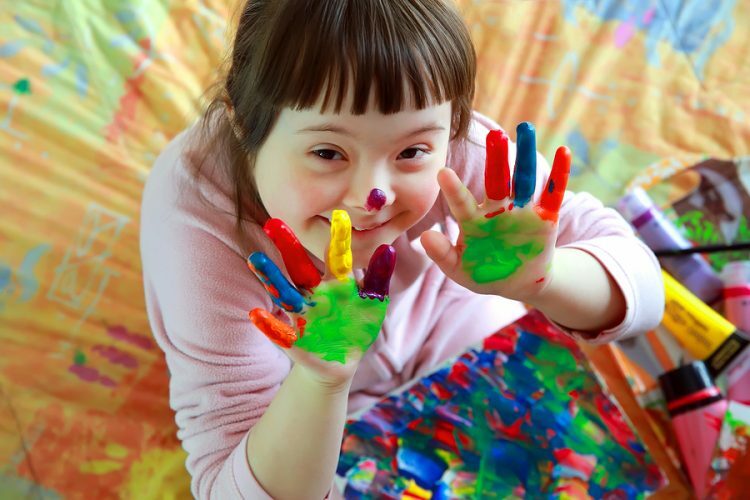 Respite care can be given in a variety of settings when reflected in the Individualized Support Plan including the participant's residence, the caregiver's home, a camp setting, a day habilitation facility (approved by DDRS), or a non-private residential setting. 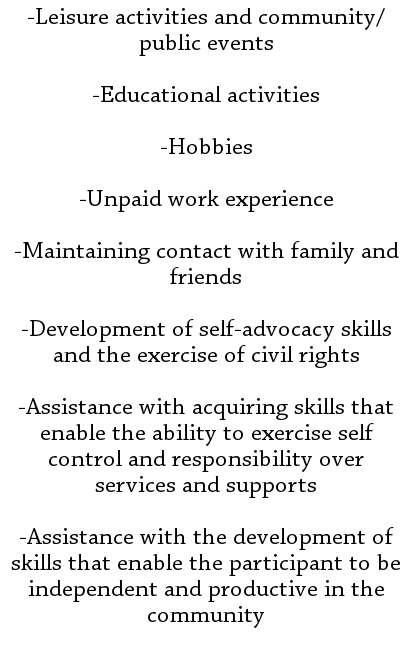 Community-based habilitation services are provided outside of the individual's home and focuses on support learning. 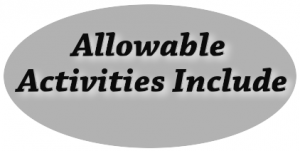 These services include assistance with self-care, sensory and motor development, socialization, daily living skills, communication, community living, and social skills. These services consist of integrated living support. We tailor these services to all individuals and assist them in residing successfully in their own homes, with natural or adoptive families, or in settings licensed under Indiana's Structured Family Caregiver programs. 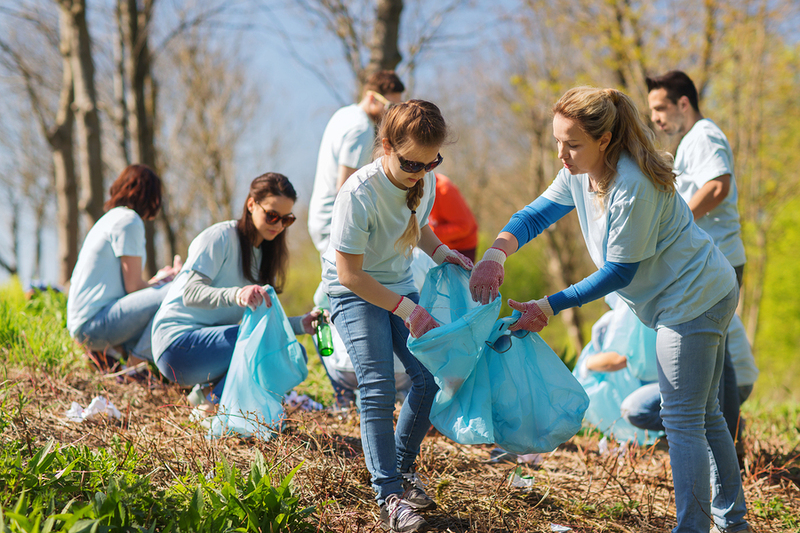 Each participant receives an Individual Service Plan which outlines goals and objectives that are designed to ensure the health, safety, and welfare of each participant. Our goal is to help individuals develop and retain the necessary skills to reside in their own homes. 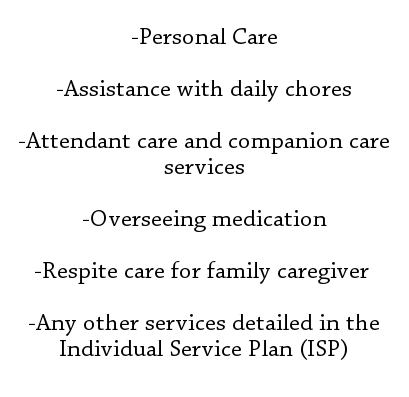 Structured family caregiving (SFC) services are provided in the home of a principal caregiver. In this situation, the caregiver is a non-family member or a family member who is not a parent, spouse, or legal guardian of the participant.